Speaking for myself, I stopped giving to the NRSC more than 15 years ago precisely for the behavior they're demonstrating right now over Judge Roy Moore. And I'm pretty sure I'm not an isolated case. At the slightest bit of controversy, establishment GOPers form a circular firing squad, peeing in their pants, er' skirts while distancing themselves from the target of a dirty trick. Democrats and the corrupt know very well how these clowns will react. Once again, the reaction is the same and the base of the GOP, regular folks like me, are sick of it which is WHY DONALD TRUMP won the GOP nomination and reject any and all establishment nominees! 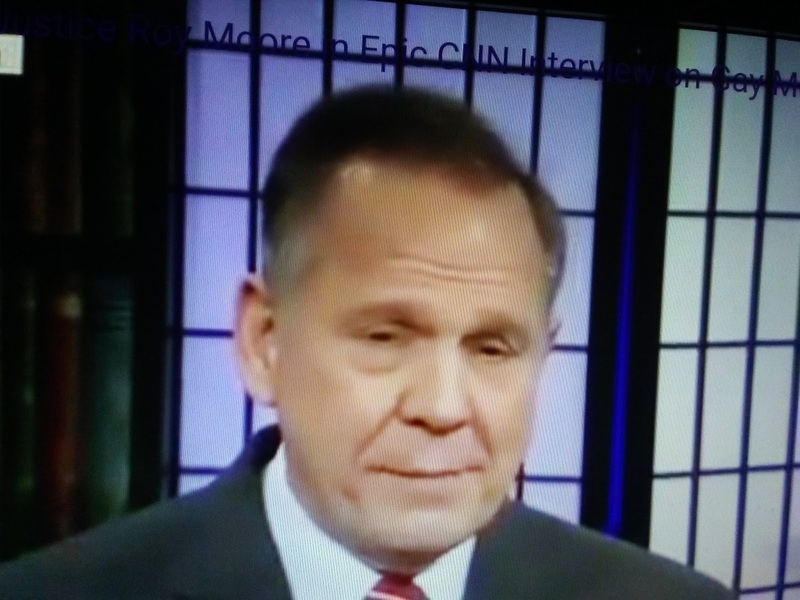 DailyBeast reports a day after explosive allegations of sexual assault surfaced against Alabama Senate candidate Roy Moore, the Republican Party’s Senate campaign arm has severed financial ties with the embattled former state supreme court justice. A joint fundraising committee benefitting Moore and a handful of Republican Party organs filed paperwork with the Federal Election Commission on Friday removing the National Republican Senatorial Committee as one of its beneficiaries (PDF). Going forward, the committee’s fundraising will benefit Moore’s Senate campaign, the Alabama Republican Party, and the Republican National Committee but not the NRSC.